For a soul there is no old or young, it’s never too late, grab the opportunity. If you try to enjoy here, you will end up suffering. 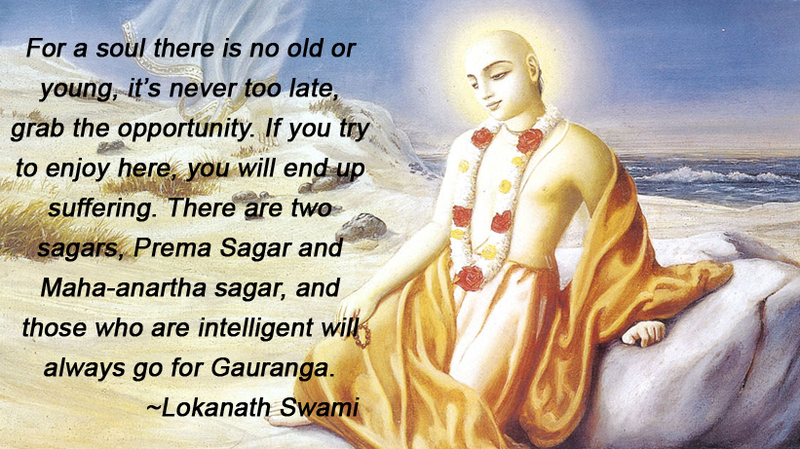 There are two sagars, Prema Sagar and Maha-anartha sagar, and those who are intelligent will always go for Gauranga.